Looking for a new engineered wood floor? Engineered wood flooring is one of the most popular flooring types worldwide, and can give your home a stylish and timeless look. Tough, durable and versatile, engineered wood is a great alternative to real wood flooring. It consists of more than one layer of timber, with each layer placed perpendicular to each other making it virtually impossible for the wood to shrink or expand with the changes in room temperature. This stability in construction also allows for the floor to be laid over all sorts of existing sub floors. The top layer is called the lamella and be cut in different ways providing the final board with different finishes. Typically, the wood floor planks are fitted together using the tongue and groove system. 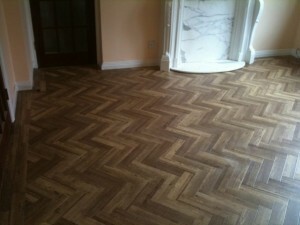 For examples of some of our completed wood flooring projects in the Brighton & Hove area, please visit our portfolio.